A group of Argive women has come to Eleusis to ask King Theseus and his city of Athens to bring about the burial of their sons who are being denied it by their Theban conquerors. Theseus is confronted with a challenge which at first he declines to take up, but then does so magnificently. The range of the play's debate is astonishing. It contains one of the Ur-texts of political theory. It explores social and religious themes. It deals with the concept of a just war, with the family, and with the role and behaviour of women. Above all it sets before us the education of Theseus, showing us movingly how this great hero is transformed into a great man. Greek text with facing translation, introduction and commentary. 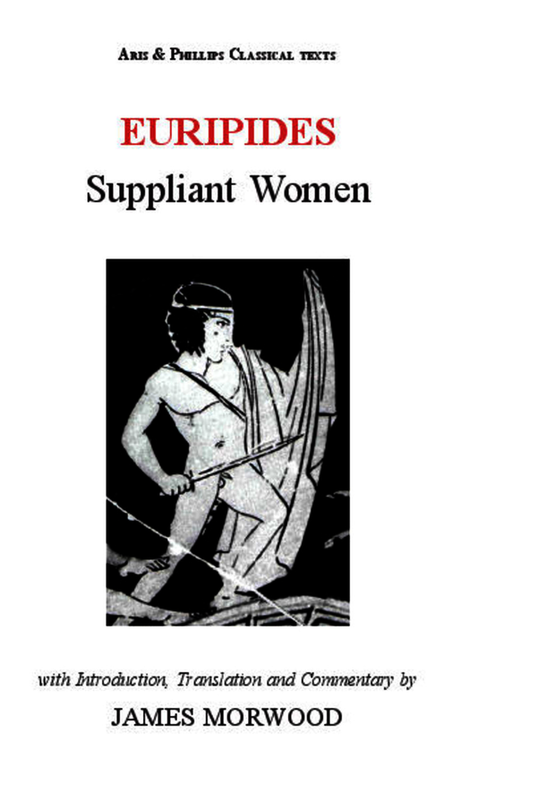 Edition of Euripides’ play Suppliant Women. Greek text, with facing English translation, introduction and commentary. †James Morwood was Emeritus Fellow of Wadham College, Oxford. Among his numerous publications are translations of eleven plays by Euripides in the Oxford World’s Classics series and The Plays of Euripides (Bristol Classical Press, 2002).